Venison refers to the meat of a deer, most commonly roe and red in Scotland & the UK. Classified as game, venison is a red meat, similar to beef but leaner and with a slightly richer taste. Due to this distinctive flavour and high protein content it is becoming increasingly more popular in restaurants. 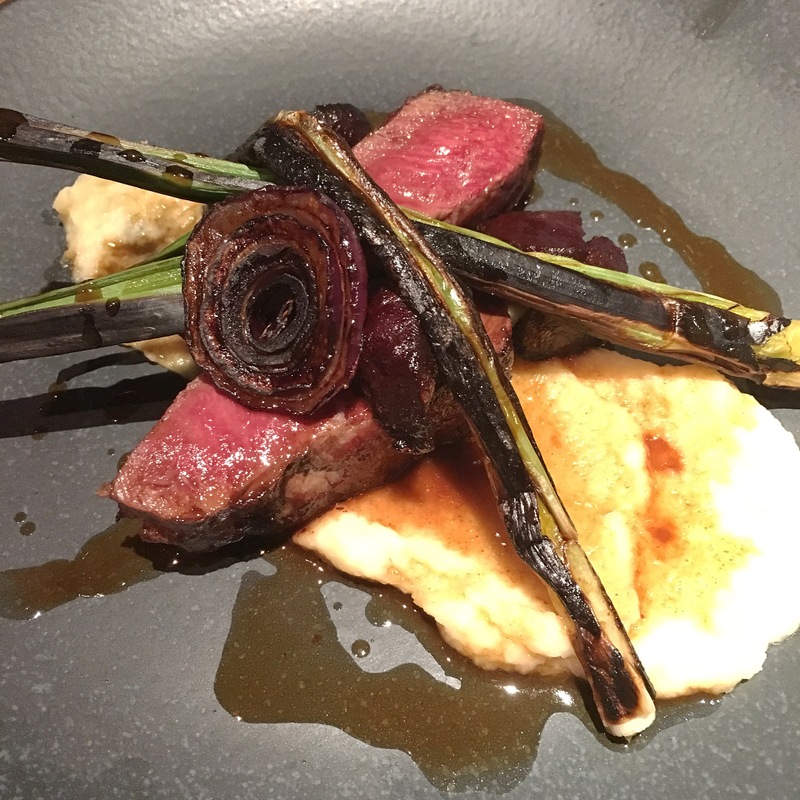 Our venison saddle is stand out dish on our new menu and due to the meat’s lean qualities it can be served pink which allows it’s texture to come through. Below is the step-by-step guide on how to make this delicious dish yourself. - Drizzle & heat olive oil on a large cast iron or other oven proof skillet and then over a medium to high temperature heat the skillet until it begins to smoke. - Sear the venison fillets until a dark crust forms and then put in the oven for about 7-10 minutes. - Once cooked let meat rest for a couple of minutes and slice into 2. - Whilst the venison is in the oven cook the parsnips (pealed & sliced into small pieces) with 50/50 milk and cream until parsnips are covered. Cook until soft enough to blitz in a blender. - Cook the beetroot in oven sprinkled by sea salt at 200 degrees celsius for 45 minutes. - Once cold peel and slice into quarters. - Cut the top and bottom off the 4 spring onions and leave in the oven on a tray for 10 minutes at 200 degrees celsius. Cook directly over a flame for more taste. Plate up so that the venison sits nect to or on top of the parsnip purée. Beetroot and charred spring onion as you wish. For this dish we recommend a Pinot Noir as it stands up well to the rich gamey falvour of the vension. Our French Rare Vineyards Pinot Noir is a great choice we recommend to our customers.